Frank “The Irishman” Sheeran vs. James “Whitey” Bulger: Who Was The Real Gangster? There are gangsters and there are hoodlums. There are hit men and there are bystanders. 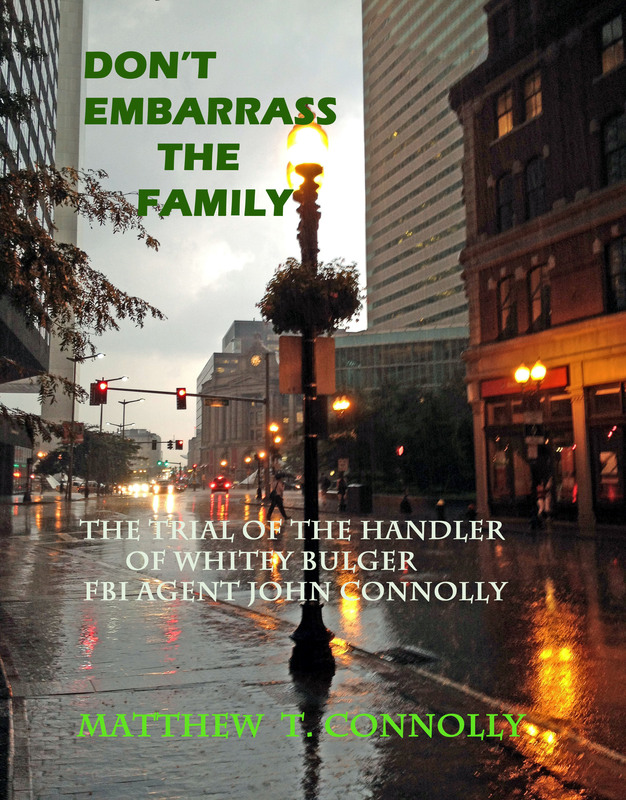 There are guys like Frank “The Irishman” Sheeran and guys like James “Whitey Bulger. One is a real killer and gangster; one is all hat and no cattle, well maybe he has a few goats running around. I wrote about T.J.English who hopped on the bandwagon making Whitey into a super gangster by engaging in a lot of hyperbole – bodies washing up on Carson beach, people stuffed in 10 gallon drums, etc. The truth was Whitey was far from that which English should have known. I say that because at the end of his book he wrote an epilogue where he talked about Sheeran who was a real gangster. I’m at a loss to figure out why it didn’t occur to English that Whitey was in the junior varsity when it came to Sheeran. Maybe it did but he had thrown his lot in with the big bad Whitey crowd so he couldn’t extricate himself. Sheeran got up into his late seventies and being a Catholic after talking to a priest he knew if he had any chance of redemption he’d have to confess his sins. His way of doing it was not to carry any mysteries with him into the hereafter so along with Charles Brandt he wrote a book called “I Heard You Paint Houses.” That was a gangster euphemism for hitting someone. I don’t think Ralphie Veranis has forgiven him. Martorano and others ganged up on his brother Tony, pistol whipped him and shot him in the back of the head. Why, because Tony who was a tough kid stood up to him. Maybe Whitey also thinks he is a good guy. Although perhaps not. He is quoted as saying he’ll meet the guy who prosecuted him in Hell. Maybe he’ll be like Sheeran and write a tell all book in lieu of going to confession like Martorano. Before I get back to the Irishman, I noticed that John “Sonny” Franzese, a reputed underboss of the Colombo crime family, was released from a Massachusetts prison hospital on Friday at age 100. You all heard of him I’m sure. He once described his method of making bodies disappear, “Dismember victim in kiddie pool. Cook body parts in microwave. Stuff parts in garbage disposal. Be patient.” Whitey certainly could have used some of his methods. The Irishman also served in the Army in WWII spending 411 days in combat. He told how that is where he learned to kill people. He was just following orders of Patton to kill as many as he could and to take no prisoners. At 6′, 4″ tall he turned into a killing machine. Whitey did not kill anyone until he had gone past his 40th birthday. Most real gangsters start much younger. Sheeran was a hit man for both the Teamsters and the Mafia. It was estimated he murdered 25 to 30 people. He was Jimmy Hoffa the Teamster’s leader strong arm man; he was the guy Russell Bufalino the head of the Bufalino crime family a Mafia connected group called in to do some favors. 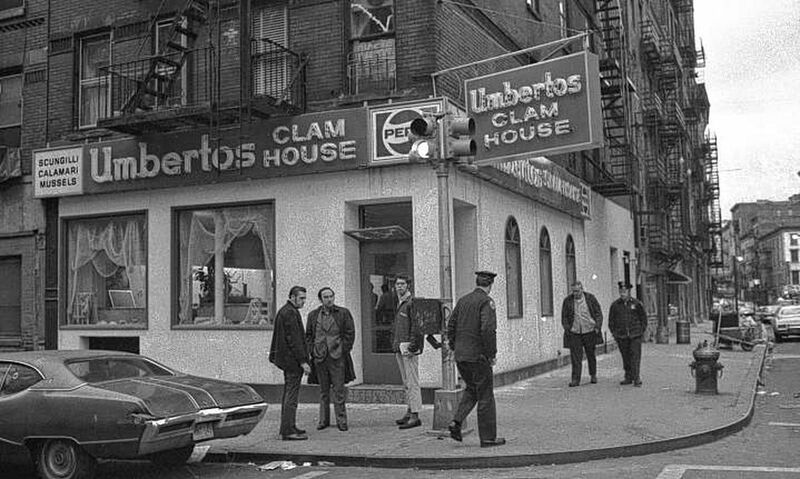 One favor was having him murder Jimmy Hoffa; another he alleged murdering was Joey “Crazy Joe” Gallo at Umberto’s Clam Bar. He said he walked into that place dressed as a truck driver, went into the men’s room, came out and shot Joey. Sort of like the scene in the Godfather where Michael Corleone goes into the men’s room, comes out and murders the crooked police captain and Mafia leader Virgil “The Turk” Sollozzo, However, like all gangsters the facts give lie to his story. Joey’s wife who was there when he was murdered said five guys came in with guns blazing. Sheeran, like Martorano, was a real hitman. They did the murders with a handgun by themselves up close and personal for the most part being the trigger man if others were around. Whitey never did that. When he murdered Donny McGonagle which he claims he was with Billy O’Sullivan in one car and Donny was in another; when he killed Eddie Connors, Brian Halloran, and Michael Donohue he did so with a sub machine gun from a distance and had a partner also firing a gun. He never did a hit by himself. 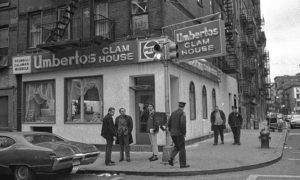 Of the first thirteen murders Whitey was accused of doing, Martorano did ten of them, Tommy King did one, and it was not known who did another. Those Irish are a Trip, Norwood !!! Not for nothing, but why send five when one good one will do ? I’d have to look at it to determine if Sheerin was selling sins for Salvation and was the guy . I do believe, however, that he was generally considered to be a quality guy in that he knew how to handle himself and seemed to kill …. Professionally …. as well as being a professional killer. It is the difference between a Stradivarius and a fiddle. I heard of one professional hit back in the day in a part of Town where one of the guys who was there and did not also get shot , was subsequently charged for a murder he did not commit. So, as to the Gallo widow account, there is many a slip twixt the Cup of Experience and the Lips of Truth !!! FLATTERY WILL GET YOU NOWHERE, BTW !!! Bunch of Goddamn narcissists !!!!!! One never foresee’s when these sorts of Umberto’s top of the line hits take place just what the story turns out to be. Yep, Sheerin was a Bufalino guy and it is not incredible that the rangy redhead ,who I think was a WWII combat vet, probably killed Mr.Gallo. He had nothing on James Bulger . Youse can all go to watch a Ben Affleck and Matt Damon movie !!!!!!!! Much better to watch “Bedazzled” – the one with Dudley Moore and Peter Cook, as the devil, and Raquel Welch as Lust. The devil is going through his list of the ones that got away (Dudley Moore plays a short order cook whose soul the devil is trying to get in a contest with God). He mentions Mussolini, to which the short order cook expresses surprise. The devil retorts, oh yes, on his death he said “scuzi” and up he goes. Includes induction into the Order of the Leaping Beryllian sisters. I won’t do a spoiler, but at the end the devil has a great threat about advertising and Wimpy Burgers. THE RULING CLASS with Peter O’Toole makes that look like a British health sciences documentary. As Gene Shepherd once said : Just who is this Peter Cook guy who is such an expert on how we do things in America ? Peter O’Toole in a white suit and tie lankily recumbent high up on a tremendous Cross in his living room , jumping down and shuffle step and soft shoeing across the room in ecstatic High Church of England abandon leaves no excusi’s , with Protestants or otherwise, for not just focusing on the now rather than a …. HEREAFTER … I’ve been here, before !!! All I can give you , SINNERS , hope is a consolation !!! Relax…I know …Cook and Moore are a giveaway , and since I will be sixty in January and , of course I have seen this counter culture flick late seventies, I will tell you it begins with Cook pontificating from the cross braces of a telephone pole. Just having a little fun, Elmer, Bedazzled is a fine movie . I realize I hurt your honest feelings by being a wiseass. So, Proceed !!! That’s what we call a Bill C. style of apology, Mea Culpa …. But ….Never … Maxima Culpa !!! YOU’RE TALKING OUT OF YOUR ……. ASSUMPTIONS !!! Grow up, your gangster fanboy fanzine bulletins belittle murder and assign gangster decoder rings to those who subscribe to your uninformed, and wholly extraneous, speculations about matters that you can only be a KEYBOARD WARRIOR about . I do not think you are always that. But basically, your opinions about his capabilities as a hands on hitter as well as a wheelman are really not taken very seriously at this address. As Monsignor Joe Fitzgerald says !!! The real murderers told no one. Probably not even a priest. God knew anyway, so why bother?